We are one of the Leading manufacturer,importer and supplier of Toaster like Electronic Toaster,Sandwich Maker,Sandwich Toaster,Slice Pop-up Toaster,Electric Sandwich Maker and Stainless Steel Pop Up Toaster. Variable browning control (6 settings) with cancel function "
Comfortable front handle for carring it around. 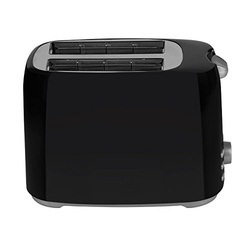 This toaster from the house of Birla comes with latest technology and design and has satisfied its customers in terms of functionality and convenience. Various items such as pancakes, waffles can be made apart from bread toasts and can easily accommodate two slices side by side. Its multifunctional features will surprise you and make you wonder why you haven’t bought this appliance sooner. Grill Toaster This multi-functional toaster comes with six settings with respect to variable browning controls and you can toast the bread however you want. An automatic pop-up function helps in letting you know when the toast is completed and this feature allows you to get your other work done saving you time. It also comes with a cancel function that enables you to discontinue the toasting at any point of time. 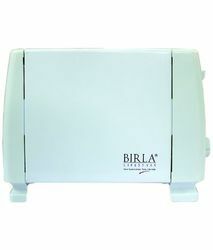 Cool Touch Handle The Birla pop-up toaster has a cool touch body that allows you to hold the appliance safely and this feature adds value to the product. 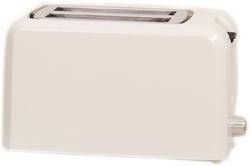 Material and Design Made up of high quality Abs this electric auto pop-up toaster is available in the color White.